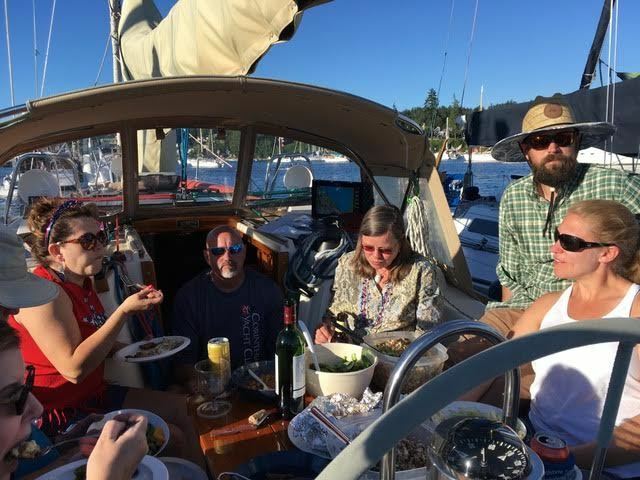 On November 2-3, there were 5 boats that attended the 2nd annual Chili Cook off in Poulsbo. Thirteen people which included 3 youngsters, all under age 8, braved the blustery fall weather. 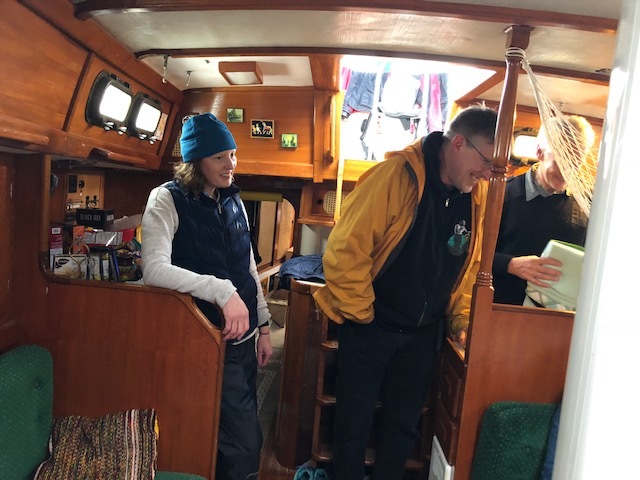 Forecast for the night was lots of wind, so after securing the boats, we all set off for some beer tasting and comradery at Valholl Brewery. At 6:30pm we convened in the Marina party room for some serious chili tasting. We had 7 different chili recipes, 2 cornbreads, a sourdough bread stuffed with brie and a big salad to balance things out. So you can see we were not lacking in food. The wind kicked up to 20-30 knots Saturday night so what better weather for some good chili tasting. And the winner of our perpetual chili flag trophy was Ron Watt with Jerry Andrews a close 2nd. Post dinner activities included a round or two of Cards Against Humanity and lots of good laughs. I think it was a great turn out for a blustery November weekend with a reward of some sunshine and rainbows on the trip home on Sunday. Thanks to all of you all that attended and participated for making this a great event. See you again next year. 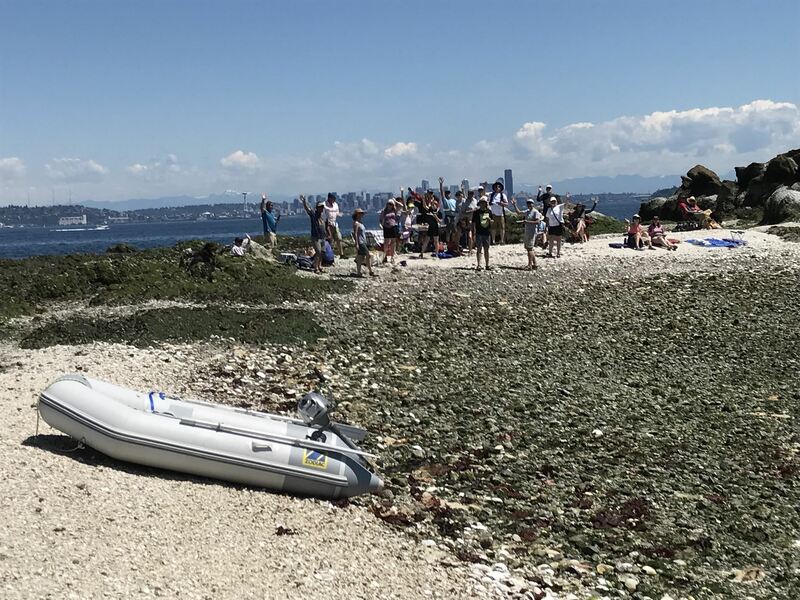 The CYC cruise to Kingston on April 28-29 was enjoyable and well-attended with ten boats traveling across the sound. Saturday morning started out overcast with very light wind. Most boats motored to Kingston and passed several sad-looking boats drifting along in the Smith Island/ Scatchet Head race. The afternoon was spent relaxing and exploring the town of Kingston. 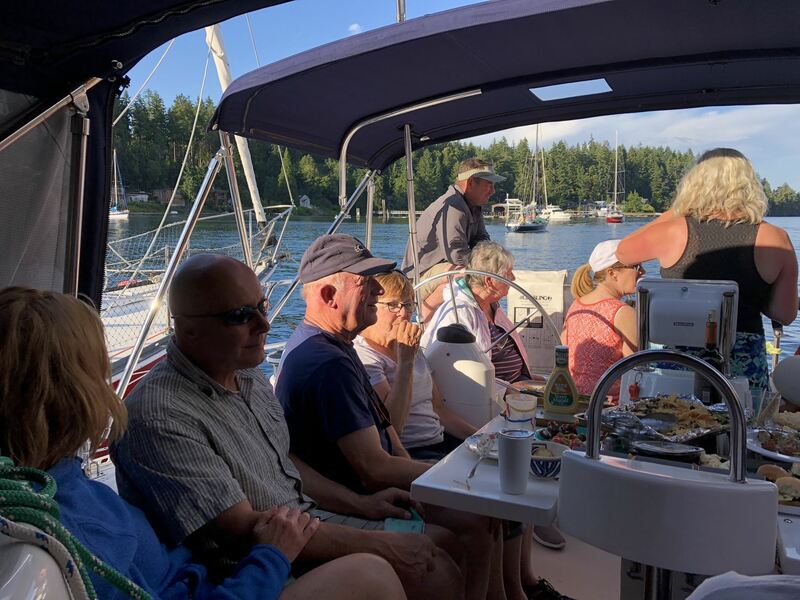 Club members gathered on the dock in the late afternoon to enjoy happy hour snacks and beverages, share stories, and become better acquainted. Then it was a short walk uptown to Westside Pizza for dinner. Twenty one members and guests enjoyed pizza and more beverages. The service at Westside Pizza was excellent as was the pizza. Afterwards some cruisers retired to relax onboard their vessels while many others searched out music and entertainment. They found live music at the Kingston Ale House. Many even contributed to the show and rumors abound about the karaoke abilities or lack of abilities in CYC cruisers. 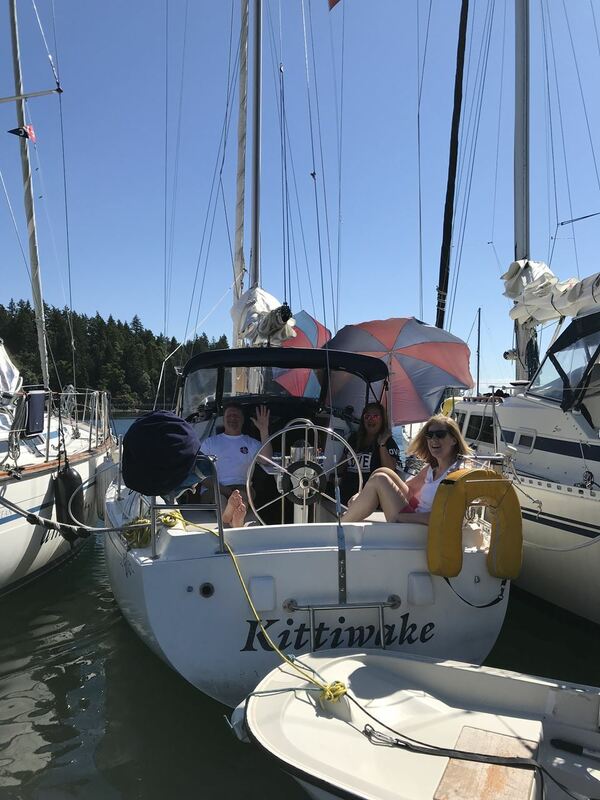 So much fun was had Saturday night that some cruisers did not get up for breakfast until 10am the next day. 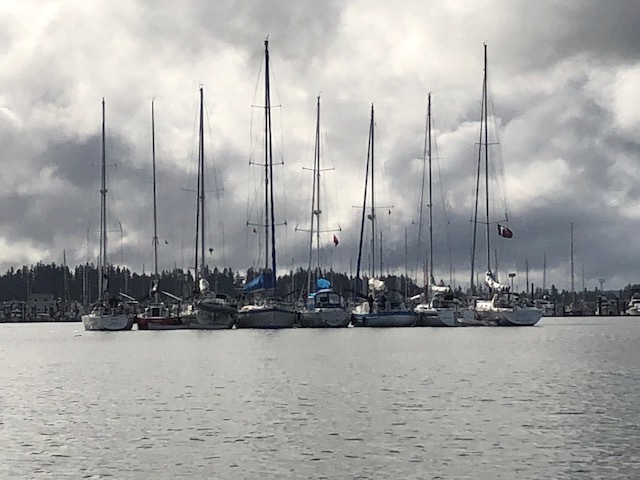 Sunday again brought overcast skies and light winds. 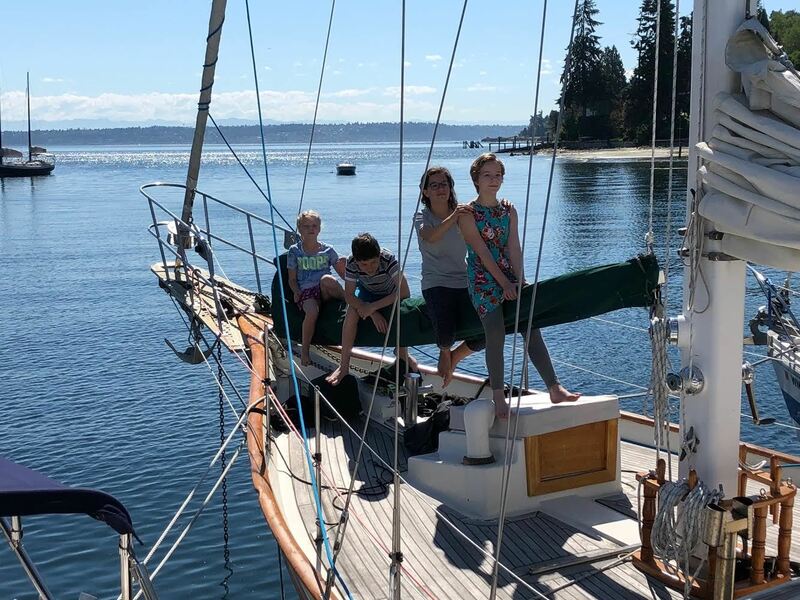 There was enough wind in the morning to get started on a sail back to Shilshole, however the wind soon died. The breeze came up and the sun came out later in the day. 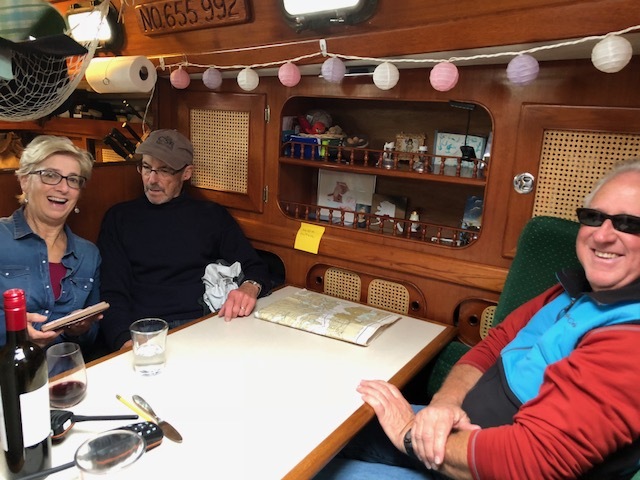 [name unknown] – Larry and Laurie? 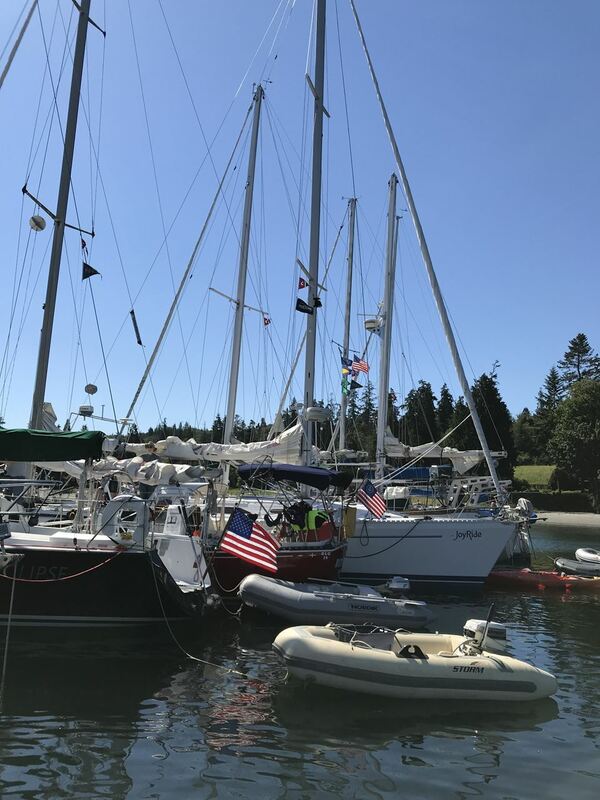 Twenty-seven hardy cruisers had a lively sail to Liberty Bay last weekend, some cruising along in a steady 30 knots of wind! 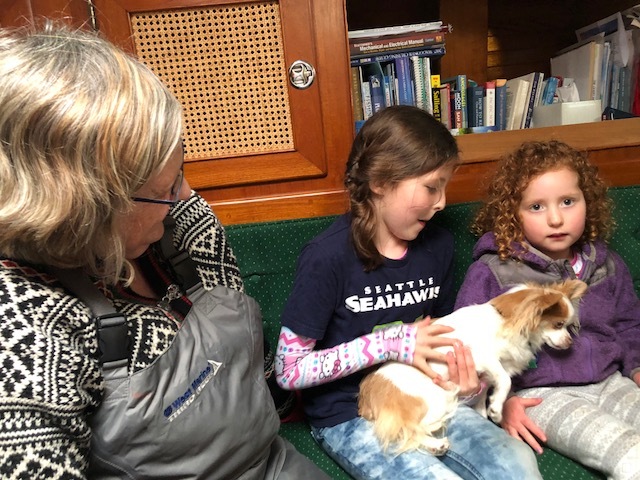 Several boats spotted porpoise while underway and one even saw a pod of Orcas! 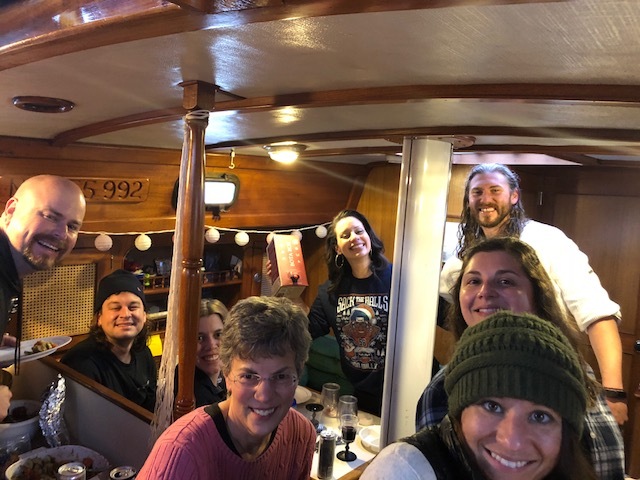 Eight boats joined forces for a raft up and a delicious potluck dinner aboard Solstice (thanks Ron and Peggy), Altair (thanks Paul and Suzette) and Eleanor. Although we endured pouring rain on Saturday evening, we woke to a calm and beautiful Sunday morning. 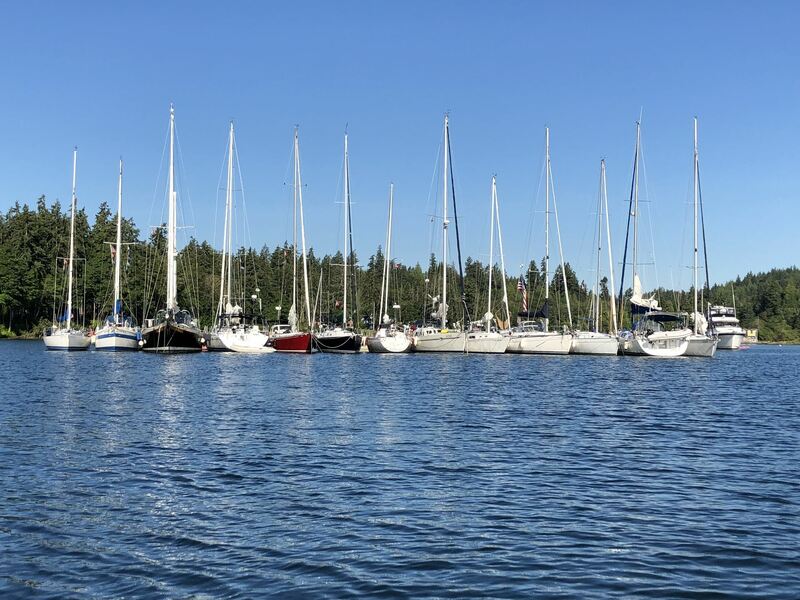 The group also enjoyed walks around Poulsbo to experience the local bakery, coffee shop, restaurants, art shops and breweries. A special thanks to CYC member Chris Roberts for giving CYC a special deal at Valholl Brewing. 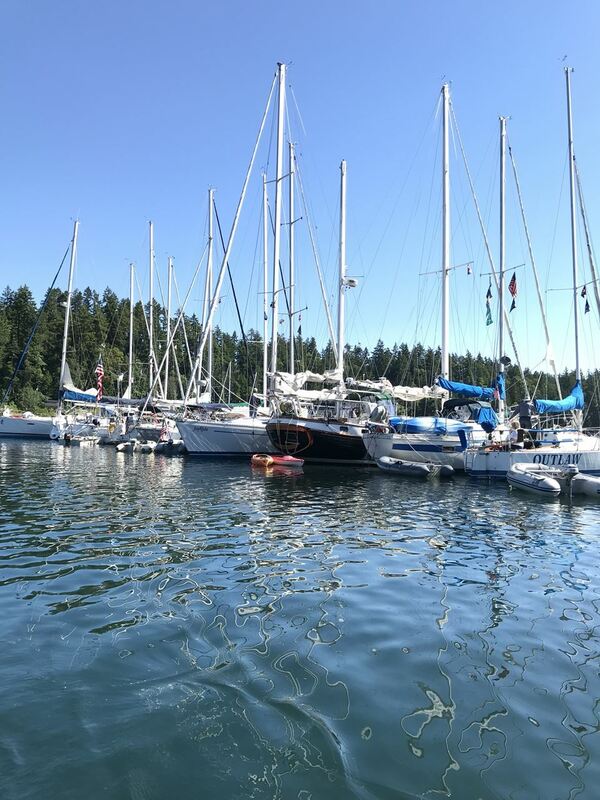 Make sure that you go when you are in Poulsbo and tell them that you are a CYC Seattle member.